Do not think that too young is not enough ! Here is a rising star. I saw him one night in the Sounds, a jazz club in Brussels, where young artists can prove their talent. The evening was great but when this young man jumped on the scene, everybody was under a WAOW effect. His style is powerful, limpid, incredibly precise and free. Believe me, he is the jazz rising star! 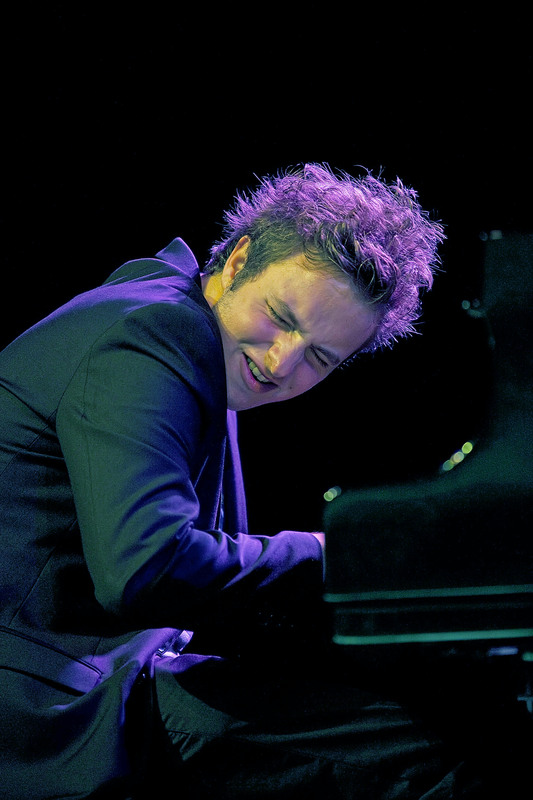 Born in 1989, he already won several awards, amongst others the first price for young talent at the Comblain Festival performing with the Metropolitan Quartet, the Sabam Jazz Award for young talents and “Lg Jazz Collective” at the Leffe Jazz Nights 2012 contest. He learned to play with great jazz men like Dado Moroni, Jozef Dumoulin, Fabian Fiorini, Eric Legnini, Jean-Louis Rassinfosse and the French pianist Baptiste Trotignon. Today he performs with drummer Teun Verbruggen and bass player Sam Gerstmans. Gerstmans, who excels at harmonics, is the stabilizing factor. Drummer Teun Verbruggen, who has been playing with the Jef Neve trio for several years, contributes to colourful rhythms and a different, innovative sound. Their first album ‘Road Story’ is in store since spring 2012 . And now… the world opens his arms to this young guy ! Chile is welcoming him in Valdivia and Santiago. If you want to see him, you have 3 solutions : take some holidays in Chile or come in Belgium or ask to the jazz club next door to invite him !